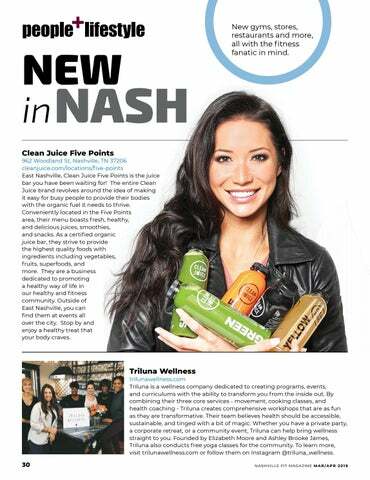 962 Woodland St, Nashville, TN 37206 cleanjuice.com/locations/five-points East Nashville, Clean Juice Five Points is the juice bar you have been waiting for! The entire Clean Juice brand revolves around the idea of making it easy for busy people to provide their bodies with the organic fuel it needs to thrive. Conveniently located in the Five Points area, their menu boasts fresh, healthy, and delicious juices, smoothies, and snacks. As a certified organic juice bar, they strive to provide the highest quality foods with ingredients including vegetables, fruits, superfoods, and more. They are a business dedicated to promoting a healthy way of life in our healthy and fitness community. 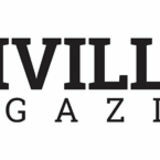 Outside of East Nashville, you can find them at events all over the city. Stop by and enjoy a healthy treat that your body craves. trilunawellness.com Triluna is a wellness company dedicated to creating programs, events, and curriculums with the ability to transform you from the inside out. By combining their three core services - movement, cooking classes, and health coaching - Triluna creates comprehensive workshops that are as fun as they are transformative. Their team believes health should be accessible, sustainable, and tinged with a bit of magic. Whether you have a private party, a corporate retreat, or a community event, Triluna can help bring wellness straight to you. Founded by Elizabeth Moore and Ashley Brooke James, Triluna also conducts free yoga classes for the community. To learn more, visit trilunawellness.com or follow them on Instagram @triluna_wellness.